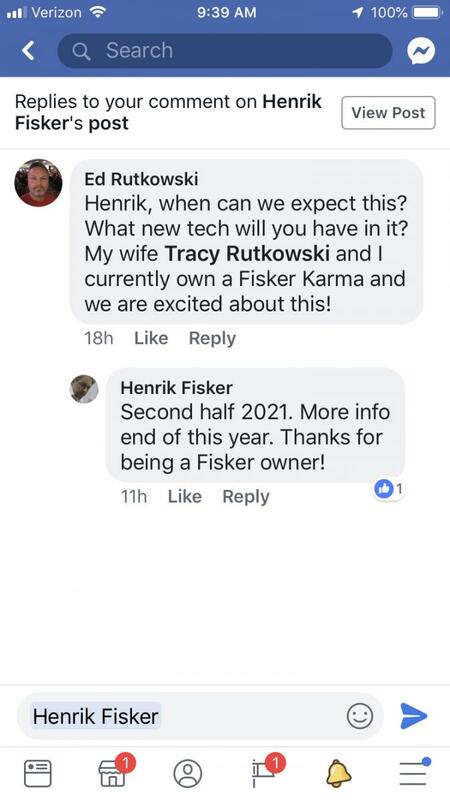 I saw a post on Henrik Fisker’s FB page about the SUV his company is working on. I asked when it will be ready, and his reply is attached. Hmmmmm that's good to know seems like he still cares about us.